[Tokyo, Japan] Roppongi Hills has a breath-taking sight during December where most of the trees would be brightened up with Christmas lights, to a dark-blue purple tinge. Other than that, Roppongi Hills contains the Mori Tower, stores, a museum, an observation deck, and my favourite Curry Udon shop. 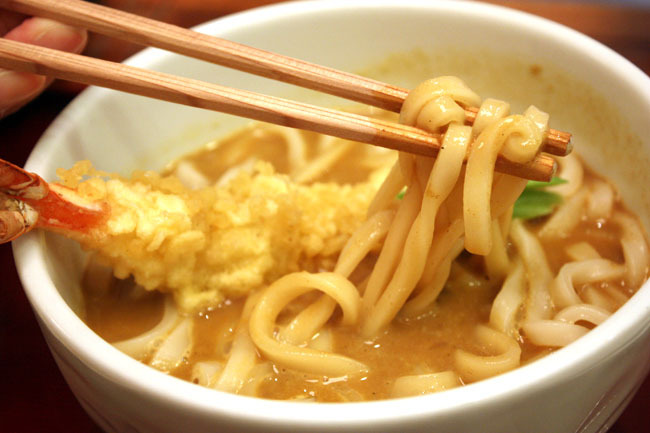 The idea of Curry Udon may put some off because both seem ‘thick’. Trust me, I do not even enjoy udon but 古奈屋 Konaya’s version is very memorable. 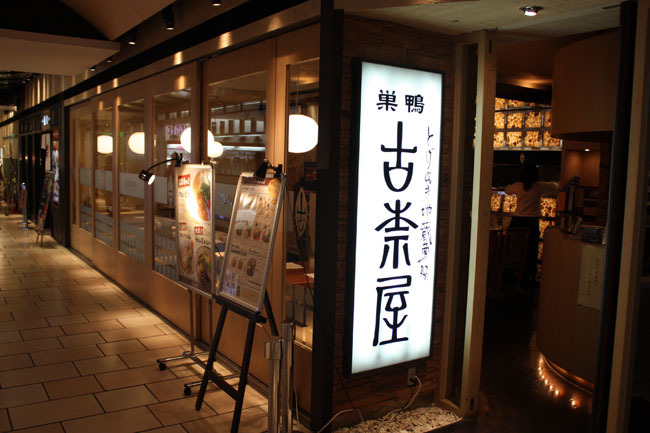 Konaya is a chain of restaurant famous for its unusual take on curry udon with additional sides such as deep fried banana and onsen poached eggs, and has spread its wings to Taiwan and Thailand. Here’s what special about its curry: TWENTY TWO types of fruits and spices are thrown into a pot and cooked thoroughly for THREE days until the sauce becomes really creamy and slightly special. I had the Curry noodle with Prawn Tempura (1350 Yen, S$20.88) while the curry noodle alone is about 1050 Yen (S$16.24). My goodness, the udon noodles is cooked slightly al dente style, but it is the curry that is flavourfully delicious with a slightly sweet and spicy aftertaste. The sauce is smooth and slides down your throat, not the typical thick types that are lumpy. 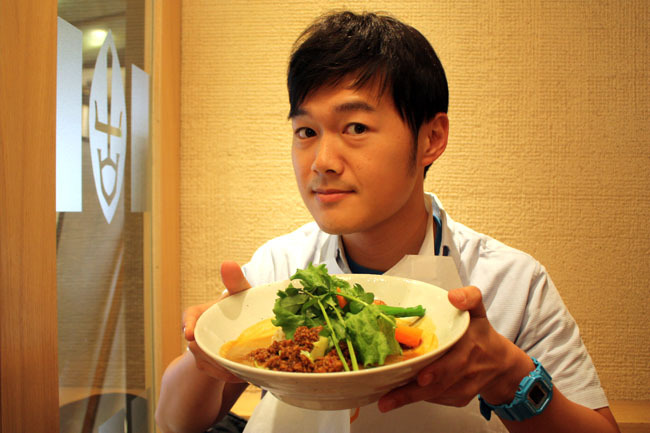 I just marvel at how the Japanese present their food sometimes. 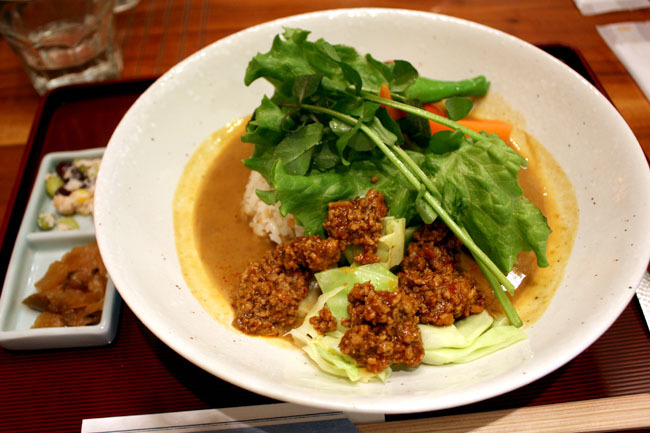 Their Konaya’s curry soup with rice and minced chicken and pork meat (980 Yen, S$15.16) looks exactly like what is presented in the menu. It is topped with lots of greens and carrot, aesthetically pleasing and adds a healthy touch. I love it. 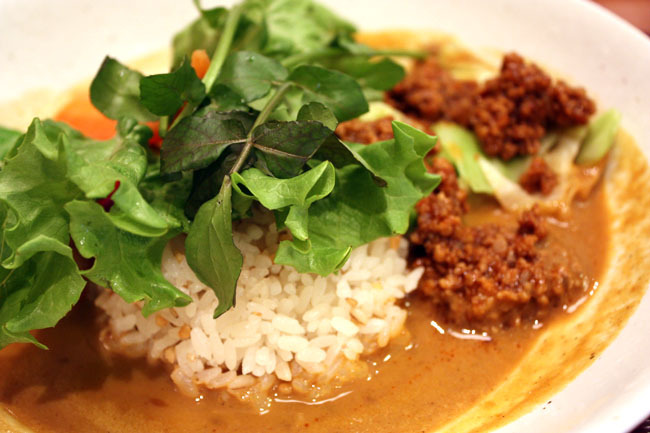 Yes, why can’t we add fresh greens to our curry rice? So refreshing. Every customer would be presented with a paper bib so that the curry sauce would not spill on your shirt. How thoughtful. How attentive. in time for Tokyo trip! Thanks! To clarify, Omy doesn’t sponsor my posts. InSing sponsors some of my posts and I would generally include a link to their site for these posts. I tried to find in Nov 2014, but seems like this branch in Roppongi Hills no longer exist. Please update this. Thanks.